Today H&M launched its Studio Collection, and it's the perfect holiday capsule. It contains flowing dresses, neutral linen, animal-print swimwear and utility pieces for more adventurous day trips. In conjunction with the launch, H&M has been working with lots of our favourite influencers, who've been teasing pieces from the collection. In February, Alexa Chung wore the linen-blend trouser suit to London Fashion Week with a pair of chunky Chanel sandals, and it's finally available. That being said, we already know which items to go straight towards. We love the colourful reworking of zebra print—particularly, the flouncy dress in pastel pinks, lilacs and oranges, as it's the ultimate beach cover up. 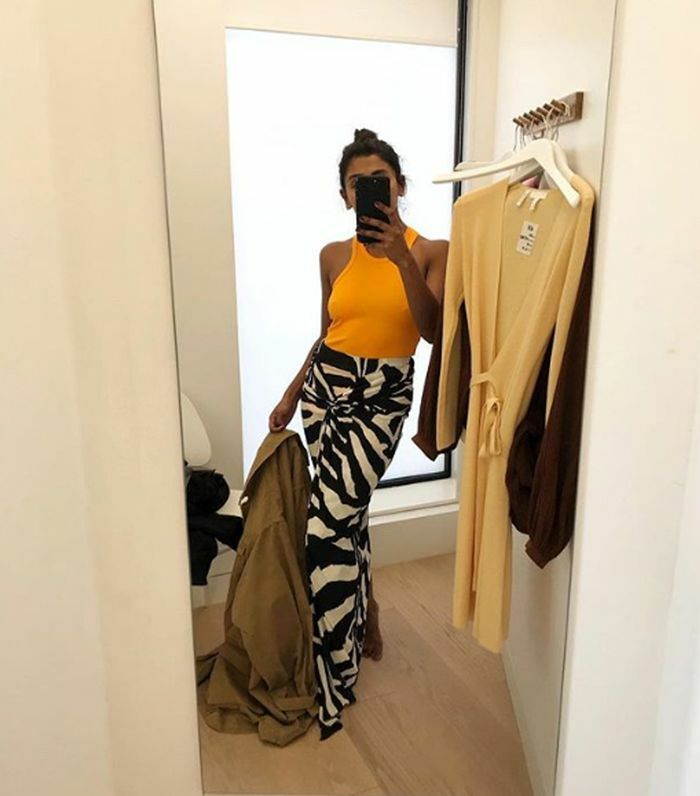 The zebra-print sarong skirt is also a standout piece from the collection, and we love how influencer Monikh paired hers with an orange tank top. Availability is already running low in several sizes, so this isn't a collection to deliberate over. Keep scrolling to see and shop the best of H&M's Studio Collection.